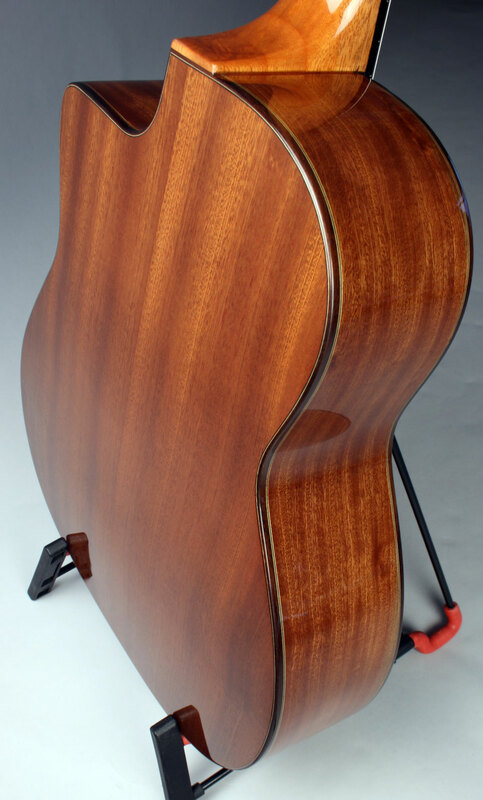 Traditional Gypsy guitar with solid mahogany back and sides! SPECIAL!!! Free Setup Included with all Altamira Guitars (Includes Fret Dress, Custom Bridge, Restring, Tailpiece Leather, Action and Truss Rod Adjustment.) A $215 Value! 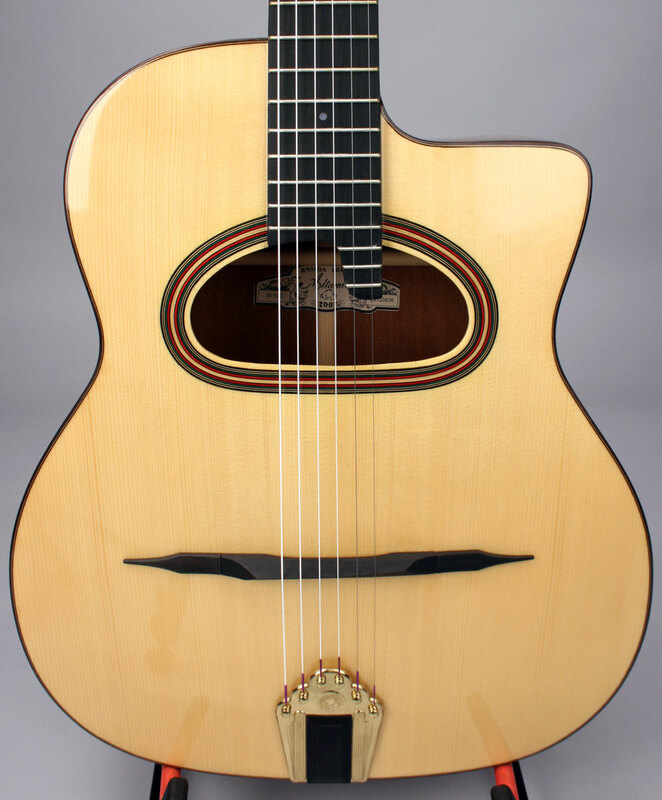 Altamira guitars are crafted by a highly skilled team luthiers, led by owner/luthier Hanson Yao who was an apprentice of the famed Rodriguez workshop in Spain. Altamira's Gypsy models are built using old world methods by just two luthiers who have been specially assigned to the task. Altamiras have become some of our best selling instruments over the years, finding their way into the hands of numerous professionals who have found them up to the task of high level performing and recording. The tone and projection of these instruments rivals some of the best handmade instruments, making them a wonderful deal at this price. 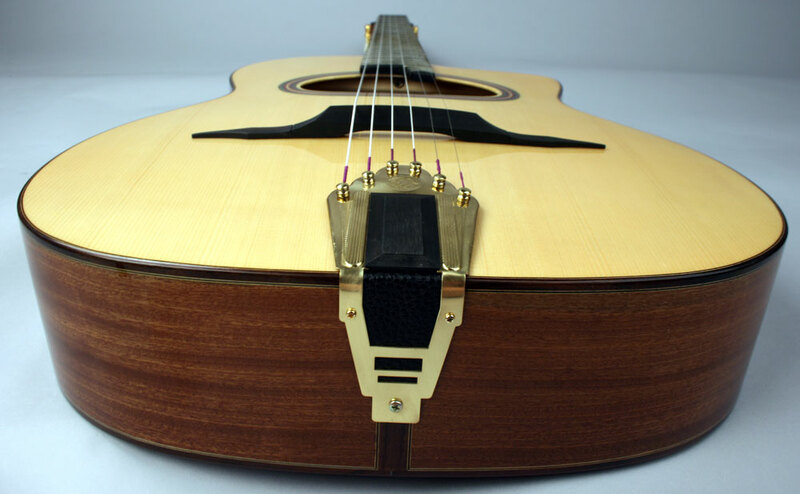 This guitar features solid mahogany back and sides, spruce top, and a sapelli neck. The higher quality materials of this solid wood model produce a richer and drier tone similar to many handmade European guitars. 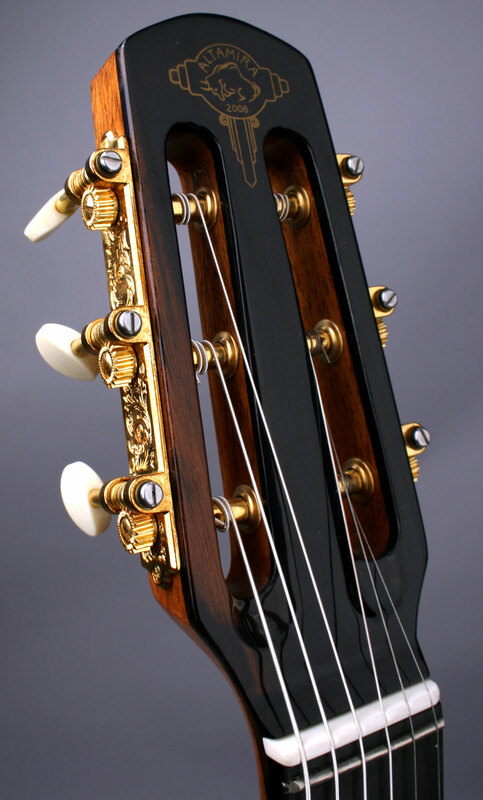 Additionally, this model features higher quality open tuners. Which case would you like? Would you like a pickup installed? Would you like to upgrade your guitars tuners? 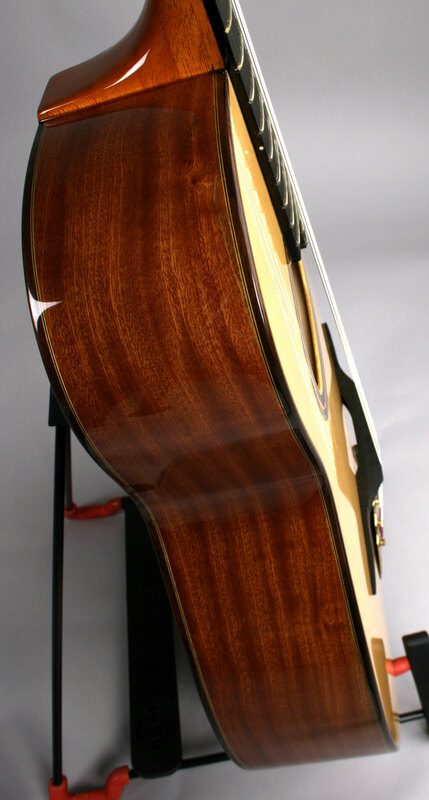 Would you like to upgrade your guitars tailpiece? Play faster, louder, and with better tone by learning the rest-stroke picking technique used by Django Reinhardt, Stochelo Rosenberg, Bireli Lagrene, and Fapy Lafertin. The original "Wegen" Gypsy Guitar pick. 3.5mm thick, 30mm long, 26mm wide. The original Gypsy jazz strings! Used by Django Reinhard and nearly every other Gypsy guitarist.